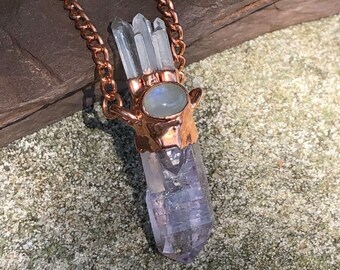 **This item is made to order unless you order the size(s) that are listed, which are available and ready to ship. 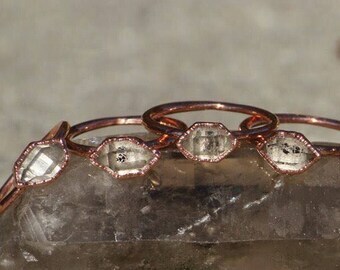 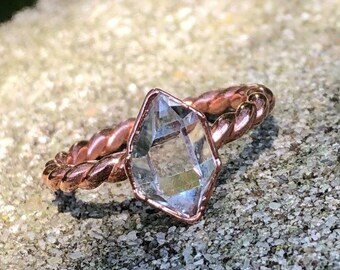 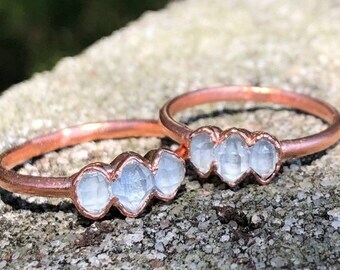 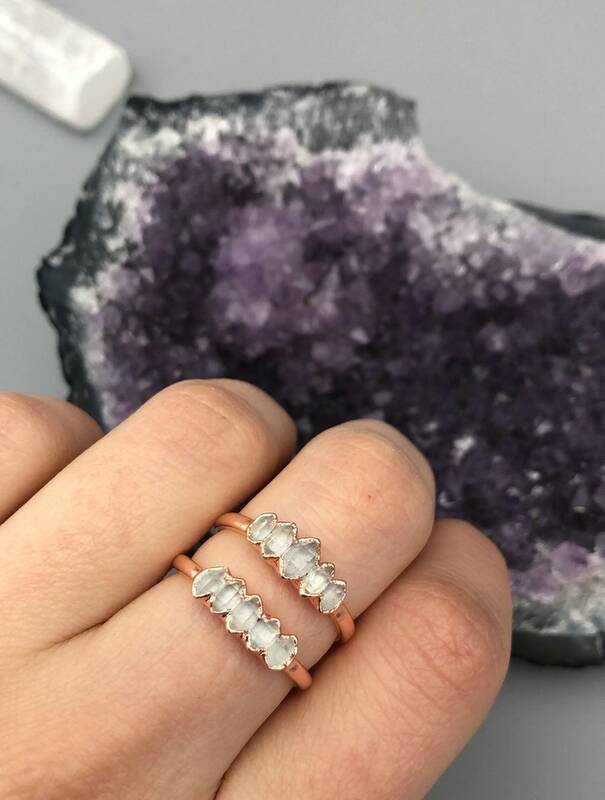 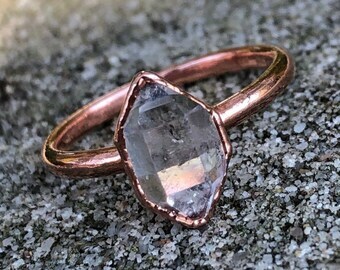 This ring is made with five small, exceptionally clear Herkimer Diamonds. 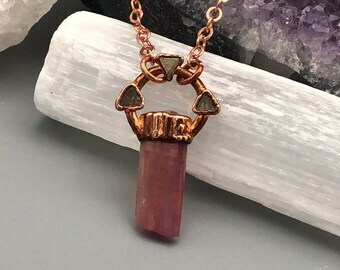 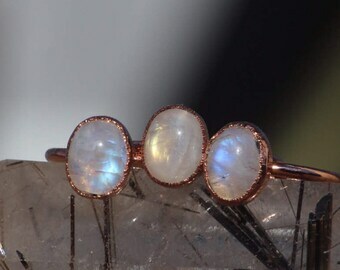 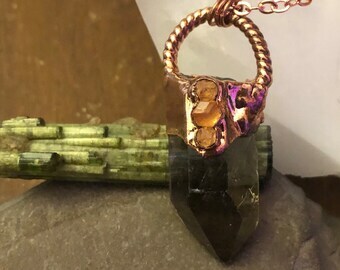 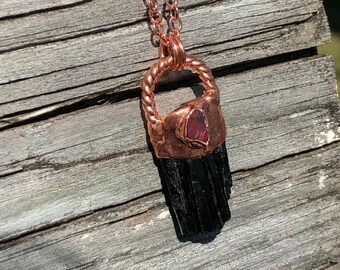 The nearly perfect stones are set in smooth electroformed copper, balancing this eye catching piece. 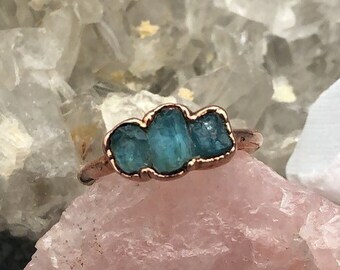 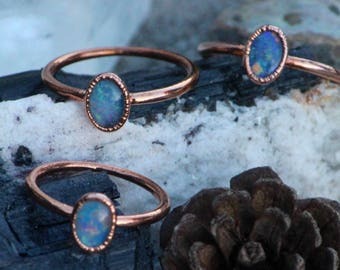 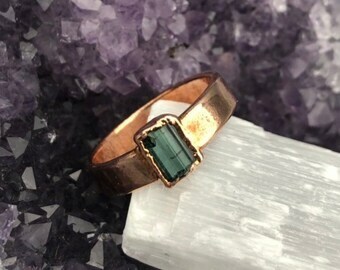 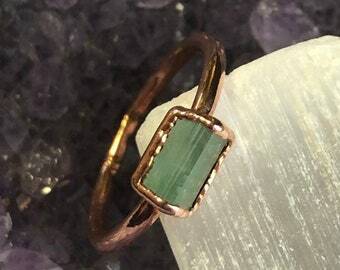 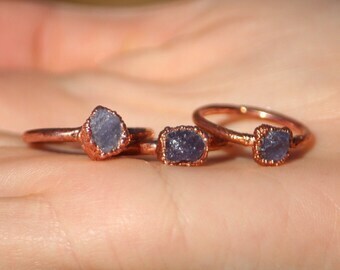 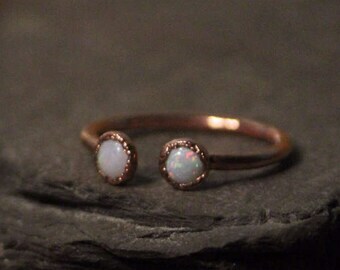 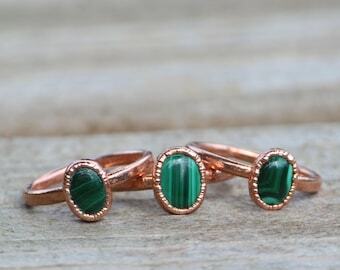 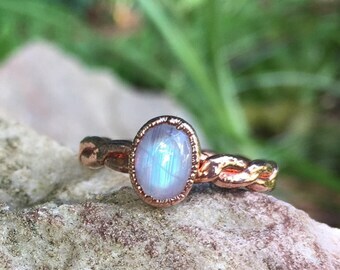 Please note that this ring is made with natural, pure copper, and will age over time.